What is Nonesuch Boat Club? A straightforward answer can be used "Nonesuch is the active racing membership of the UBBC Alumni". This is certainly the truth, but any club is more than just a designation. A true club is a gathering of many individuals, orientated with the same common purpose. Our purpose is very simple; to support the University of Bristol Boat Club, on and off the water. If you wish to race for Nonesuch BC, you can join the UBBC Alumni here. The 2011 Henley Town & Visitors' Regatta was the first official outing for the club at a British Rowing event. The participation was wide, with UBBC Director of Rowing at the time, Gordon Trevett, in the five seat of the second boat. Nonesuch won the Elite Eights event. Nonesuch finished three seconds off the winners, in fourth place overall. This was a good result, made all the more impressive by the fact most had raced at the Eights Head of the River the day previously and had ensured they were very well hydrated in the Thames RC bar afterwards. 2013 was the first year Nonesuch had competed at Henley Royal Regatta. Qualifying was a the sole aim of the year's campaign, but the crew ended up reaching the quarter-finals of the Thames Challenge Cup after beating a selected crew from the US in the first round. As part of the campaign, the crew paid for the refurbishment of one of UBBC's Empacher eights. 2014 saw the annual UBBC Head Race being held at the new boathouses at Saltford for the first time. Nonesuch entered 4 eights and each athlete racing made a donation to UBBC, enabling the purchase of a new cox box. 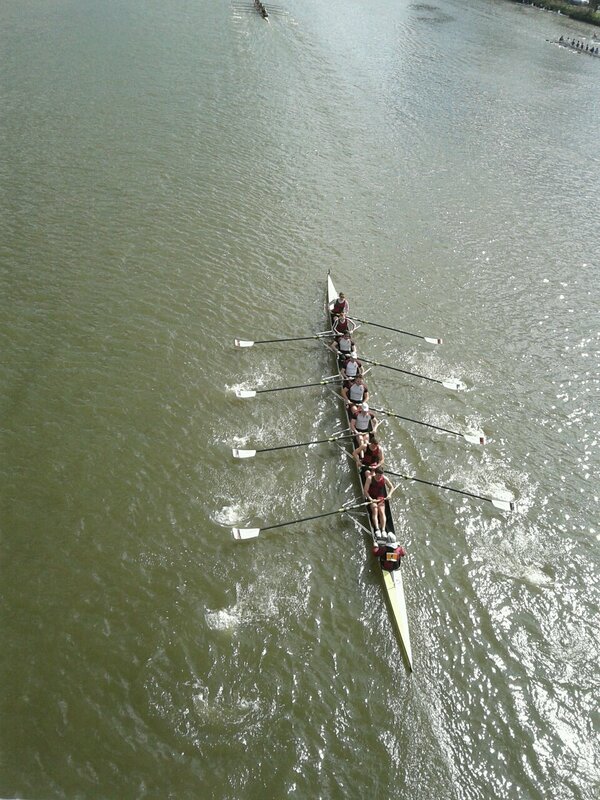 Nonesuch joined UBBC on their Easter Training Camp in Tilburg and were able to provide two eights as competition on the water. TSR Vidar were also very generous hosts, leaving us alone in a huge boathouse equipped with two bars. The 2015 Henley Royal Regatta saw crews reaching the second rounds of both the Britannia Challenge Cup and the Wyfold Challenge Cup. Nonesuch again send a large contingent to Henley Town & Visitors' Regatta, fielding a Women's Eight in a British Rowing event for the first time. This crew contained women from five generations of UBBC's Novice Women's programme.